British campaigners are to condemn the ruling Al Khalifa monarchy of continuing its brutality against peaceful protesters in a meeting in London. The press conference, organized by the Islamic Human Rights Commission (IHRC) for November 22 in Fielden House on Little College Street, is expected bring together key human rights and activist groups that oppose the Bahraini dictatorship’s brutal crackdown on peaceful pro-democracy demonstrations in the region. The meeting titled “Bahrain: 365 Days of Broken Promises”, will discuss the failure of the ruling regime of the tiny Persian Gulf island to implement recommendations made by the Bahrain Independent Commission of Inquiry (BICI) last year. The BICI was established on June 2011 in the Arab country with the task of investigating the human rights violations that took place during Bahrain’s uprising that began in mid-February 2011. In a report published in November last year, the commission accused the kingdom of using excessive force against anti-regime protesters. The conference, which will be chaired by Lord Nazir Ahmed, seeks to highlight the fact that there has been no significant improvement in the human rights situation of the Arab country since last year, as the regime forces continue to imprison and torture Bahraini activists. Earlier this week, a study by the Amnesty also found that the human rights situation in the tiny Persian Gulf island state has deteriorated “markedly”. 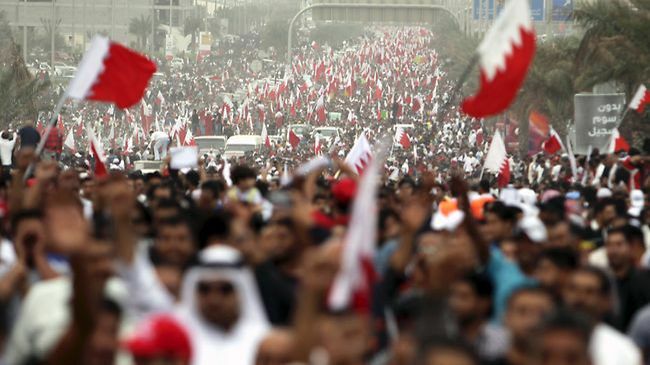 Bahrain, the home to the US Navy’s Fifth Fleet, has been the scene of anti-regime demonstrations since February 2011, in which scores of people have been killed and many others arrested in the violent Saudi-backed crackdown. This article was first published on 22 November 2012 for PressTV. You can read the article in its entirety here.